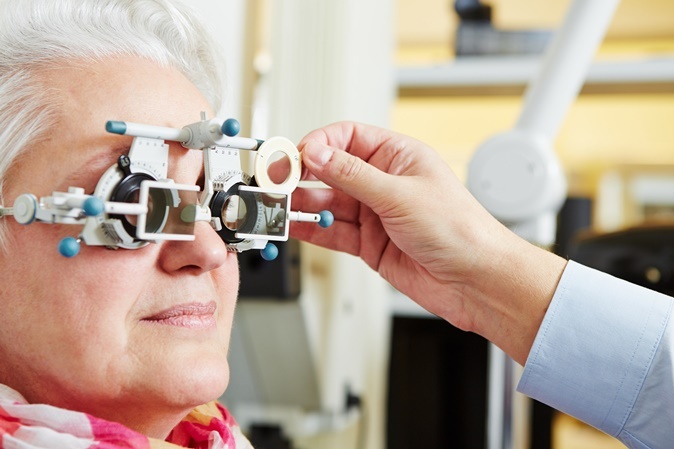 20/20 vision is normal visual acuity measured at 20 feet. In general, we need a corrected visual acuity of 20/50 or better, in order to work, drive or read. 20/50 vision means that a person must stand at a distance of 20 feet in order to see what a person with normal vision can see at a distance of 50 feet away. The vast majority of people with low vision can be helped to function at a higher level with the use of low-vision devices. Common devices are hand-held magnifiers, high-powered eyeglasses, telescopes, and closed-circuit televisions (CCTV). These visual aids are available at our Optical Dispensary.